No changes in the team’s line-up for next year. 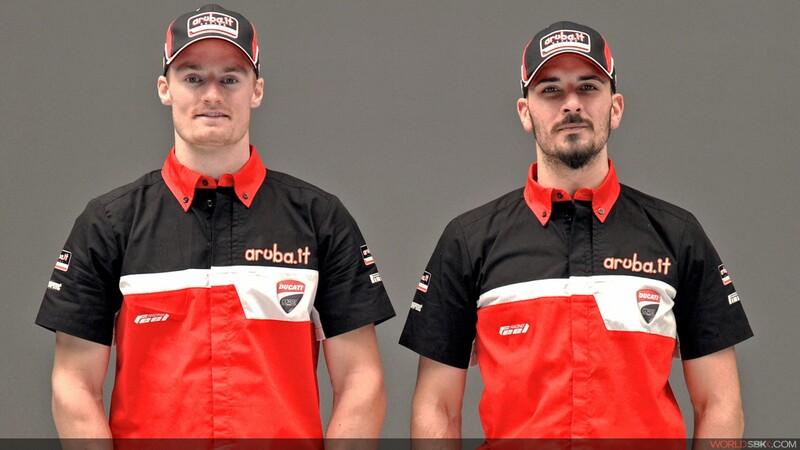 The Aruba.it Racing - Ducati Superbike Team confirms the agreement made with both of its current riders, Chaz Davies and Davide Giugliano, for the 2016 season. Contract renewal for Davies and Giugliano ensures that the Italian squad and manufacturer can count on the talents of the two riders and on the continuity of the experience of the last two seasons completed by the Welshman and the Italian on board the Panigale R. 2016 therefore marks the third year that the Ducati line-up remains unchanged, and the second year for the Davies-Giugliano pairing within the Italian team. Davies, currently second in the general standings, has obtained a series of great results this season, accumulating fourteen podium finishes, including four wins, from the twenty races run thus far. Strengthened by his fourth win achieved prior to the summer break at the Sepang Circuit in Malaysia, the British rider is feeling confident ahead of the final three rounds of the season and subsequent winter testing. 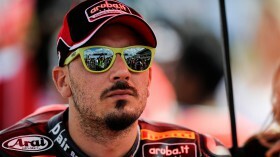 Unfortunately Giugliano has had an extremely unlucky year, with two accidents at Phillip Island and Laguna Seca meaning that he has been able to compete in only 10 of the season’s 26 races. 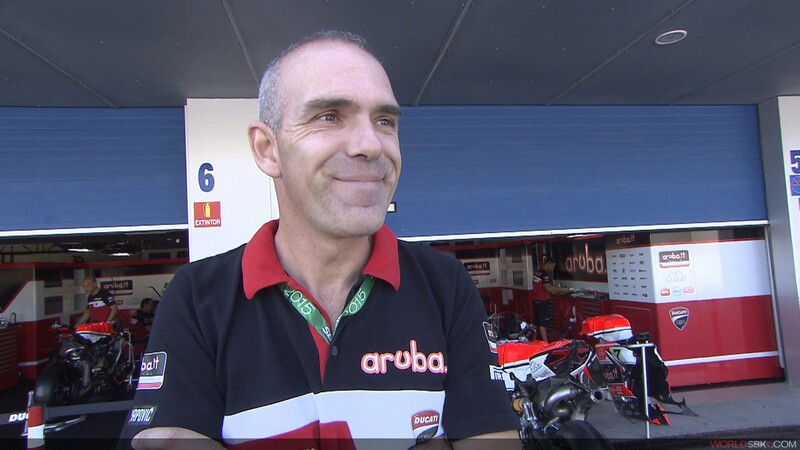 Despite his prolonged absences, the Roman rider has nevertheless scored two pole positions and reached the podium on three occasions, and is now keen to return to the track as soon as possible together with his team-mate and the rest of the Aruba.it Racing - Ducati Superbike Team. Italian rider all-set to test for first time since Laguna. Italian plays part at motorcycle show in Milan. 2015 runner-up content with Ducati progress.